​The January transfer window is the perfect opportunity for clubs to set out who they want to close out their season with new signings and loans. There have been some big name signings in the past such as Virgil Van Dijk and Marcelo, and this season is no different. From La Liga to the Bundesliga, clubs have made some key transfers that will hopefully help them for years to come. Fans FIFA 19 will also be in for a treat as these players have joined their new squads and are part of them in the game. Check out the best five January signings to come to FIFA 19. Paris Saint-Germain went out and signed Leandro Paredes from Zenit Saint Petersburg this past month, trying to replace midfielder ​Adrien Rabiot who fell out of the rotation. The Argentinian fits perfectly in managers Thomas Tuchel's​ squad, with his great foot-work and ability to be a playmaker. This move is actually big for FIFA players as his former team Zenit was not featured in FIFA 19 due to licensing issues. Luckily Leandro Paredes was in the game, but just not on any roster. Fans of the game will welcome the 24-year-old with open arms as he has an ​80-overall. That paired with 82-long ball and ball control make him a threat in the heart of the midfield. There aren't many young players as special as Frenkie de Jong. ​The 21-year-old has already started a great number of senior caps for Ajax and his move to Barcelona just proves his talent. Just face it, if Barça are paying for a fee of €75 million, plus a further €11 million in possible add-ons for you, then you're something special. While he won't be on Barcelona until the summer, the Dutch international still deserves to be part of this list. Having an ​82 overall is a good start and its what he bring to FIFA 19 that is more important. 88 ball control, 86 dribbling, 87 short passing... the list goes on. Barcelona will be even more fun to play with when he joins the club. No one really knew what Krzysztof Piątek​ was capable of when he first joined Genoa just last season. What most didn't expect, was exactly what the Polish international did as he went on a scoring tear that made maybe clubs interested very quick. So quick that AC Milan decided to send its striker off to Chelsea (Higuain) and move straight for him. 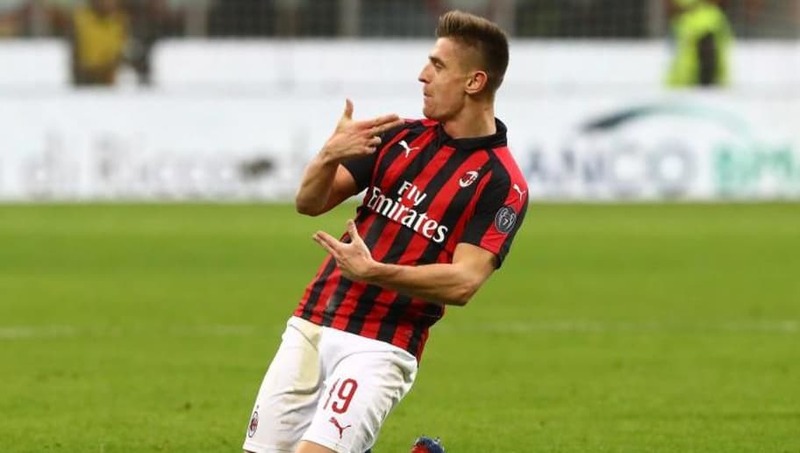 Now this was a risk as fans didn't know if Piątek would be able to continue his form on Milan, but he proved the doubters wrong, scoring a brace in his first ever game for the Serie A club. With all of this goal scoring and clear skill, it is shocking that EA Sports have yet to give the 23-year-old a big boost in FIFA 19. Currently a ​75-overall in the game, Krzysztof Piątek is for sure going to get the rating boost that he deserves. It came as no surprise that ​Borussia Dortmund decided to cash in and buy striker Paco Alcácer, who joined on loan from Barcelona just last summer. With 12 goals in just 14 matches, the Spaniard has shown that he was meant to play in Germany. Alcácer's form this season has shown in FIFA 19 as he currently has an 82 rating with 85 finishing. He can also score goals with both feet with his 4-star weak foot in-game. ​The American star has agreed to move from Borussia Dortmund and is set to join Chelsea in the summer. His transfer has been looming ever since his impressive season in Germany just last year, and a move to England was definitely on the cards. Chelsea were the team that landed him in a transfer worth €64 million, making Pulisic the most expensive American player of all time. This hype alone has helped him get a 78 rating and an insane acceleration/speed. It will be exciting to see him perform in the Premier League, but for now you can enjoy playing with him FIFA 19.